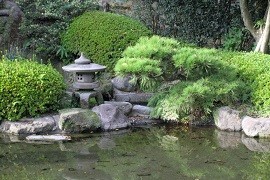 At the heart of a Japanese garden is harmony with nature. More than simply a landscape of trees and flowering shrubs, a Japanese garden provides a place of serenity and rest, filled with peaceful spots that lend themselves to meditation and contemplation. 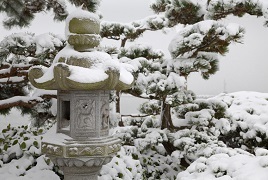 Japanese Gardens celebrates and illustrates this ideal, showcasing the exquisite natural beauty of more than 20 quintessentially Japanese gardens-big and small, urban and rural, traditional and contemporary. 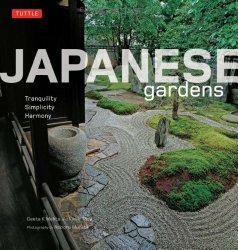 The expert author and photographer team behind this book titled Japanese Gardens: Tranquility, Simplicity, Harmony excels at capturing and explaining the essential elements and techniques that distinguish Japanese gardens from those of other countries. 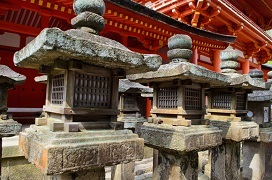 The featured sites range from large feudal period gardens, temple gardens and private and countryside gardens to mountain flower gardens, tea gardens and gardens devoted to miniature bonsai.